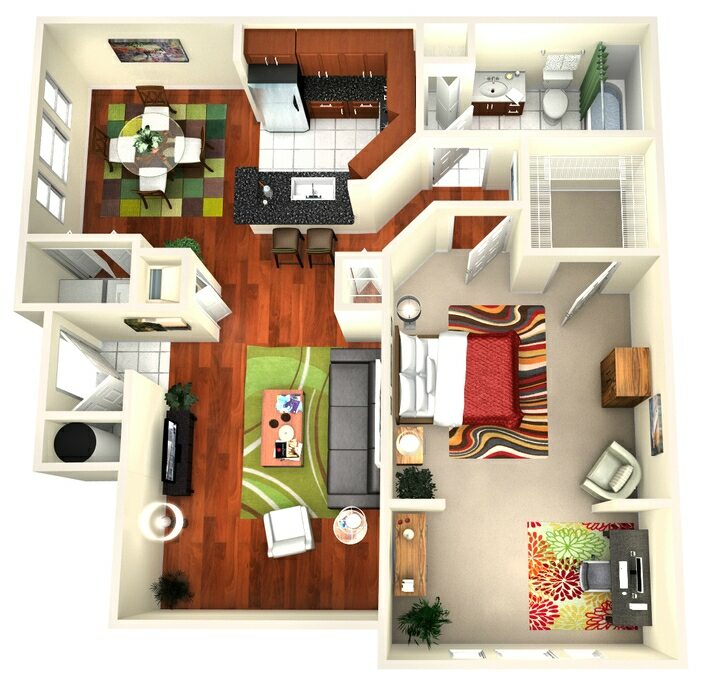 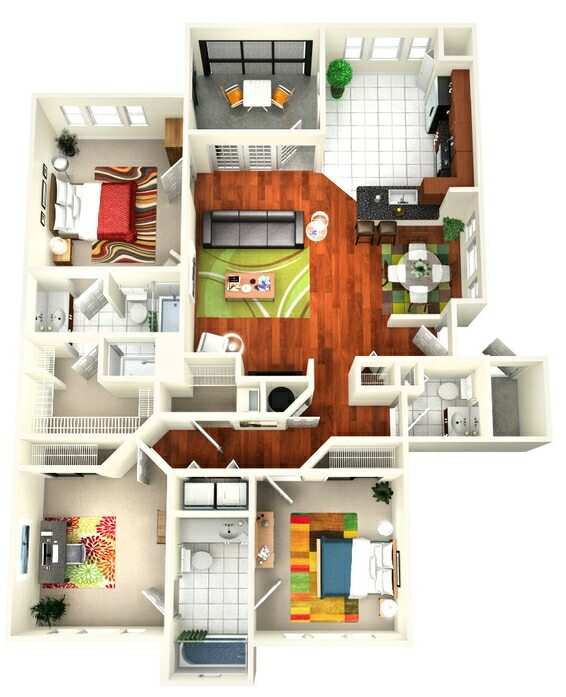 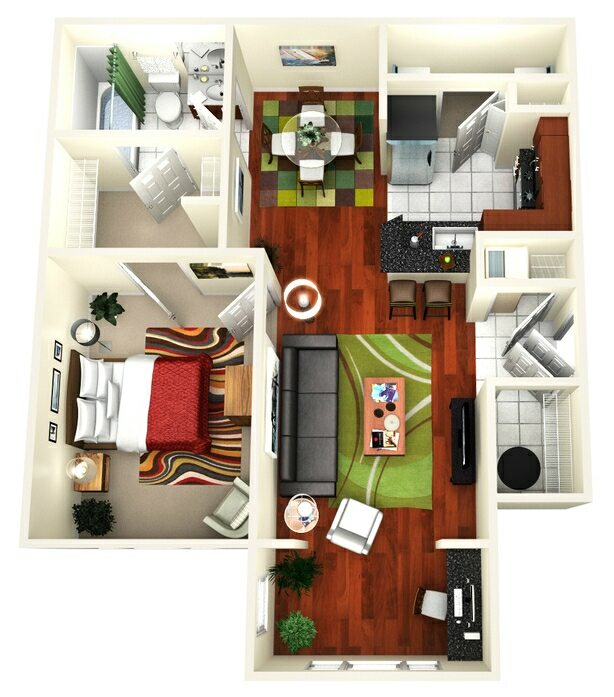 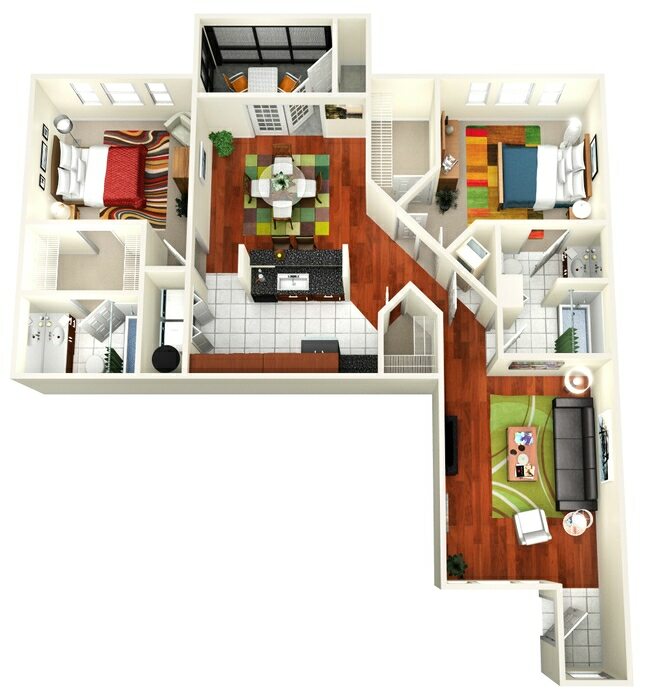 With nine distinct floor plans and newly renovated models available, the 1, 2 and 3 bedroom apartments at Avenue Royale make it easier than ever to find your ideal combination of layout and features in Jacksonville, FL. 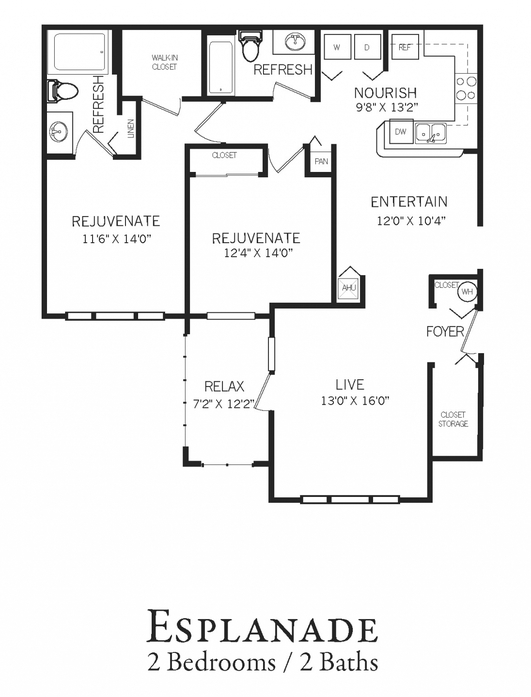 Strut your skills in the kitchen by selecting an upgraded model with new appliances in a contemporary black finish. 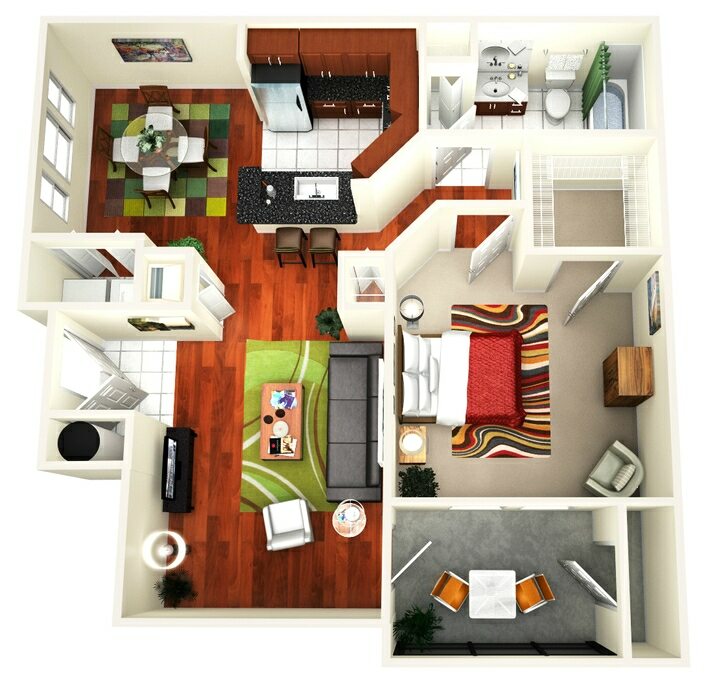 Personalize your space even further by choosing a home with faux-wood or ceramic tile flooring. 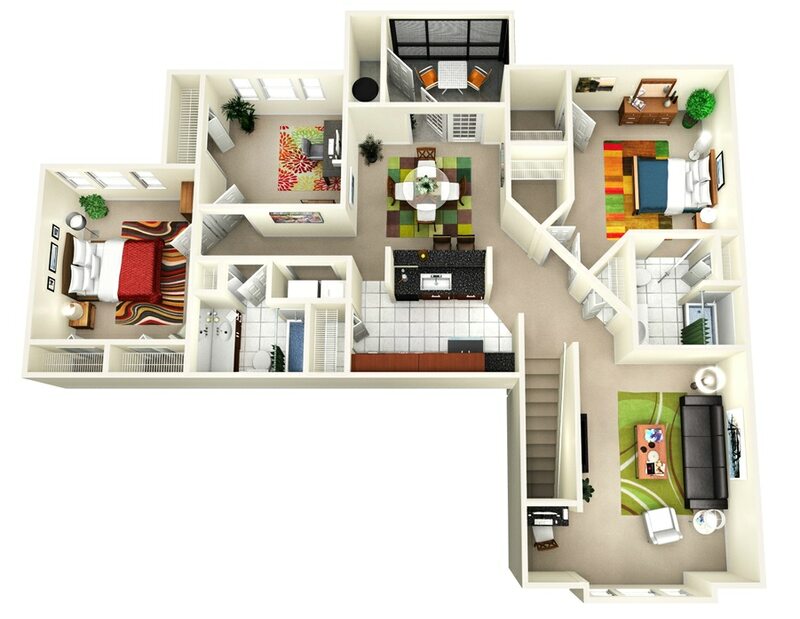 Loft-style models with a spiral staircase and vaulted ceilings are also available. 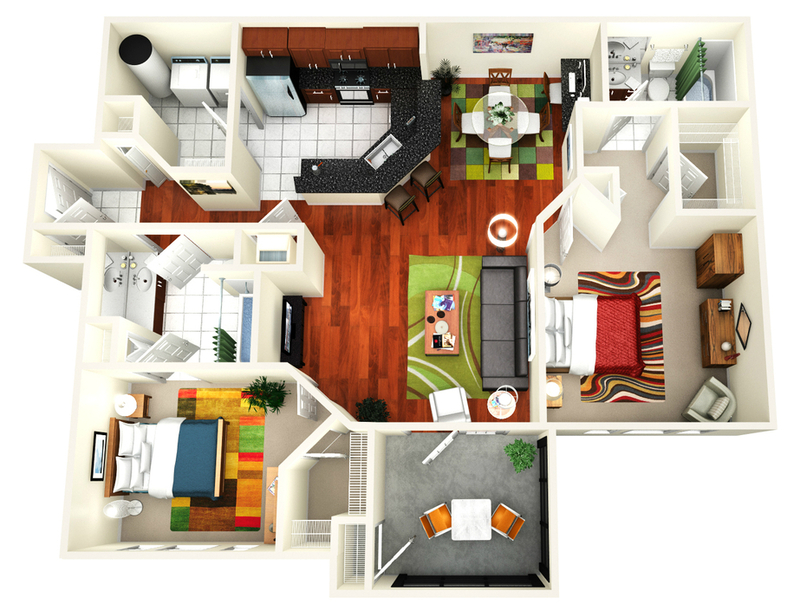 Along with the wide array of floor plan options, each home is anchored by accommodating features meant to enhance your comfort. 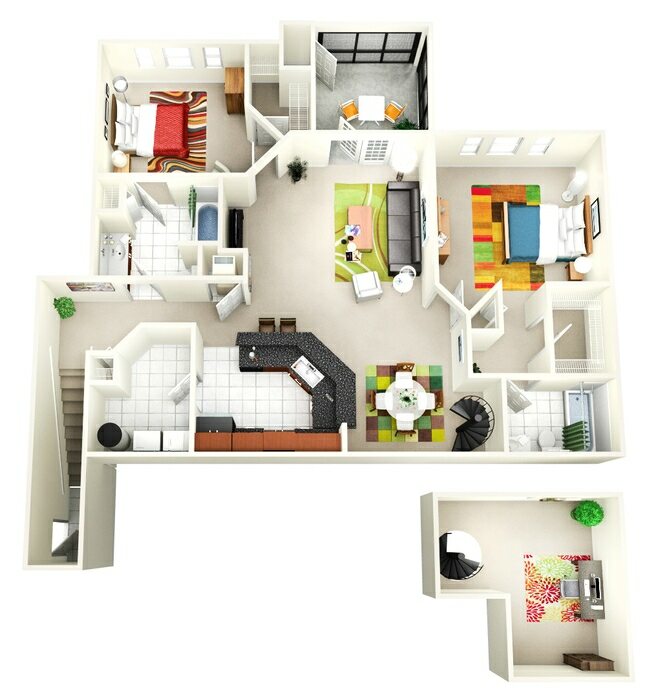 A full-size washer and dryer set comes standard, taking the hassle out of laundry day, and the ample storage space simplifies home organization. 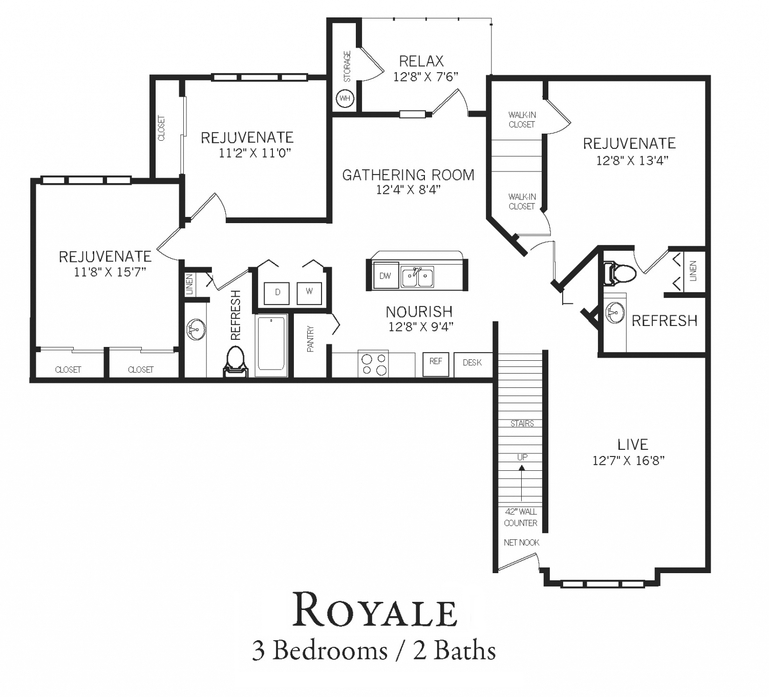 You’ll love the extra touch of style provided by the cultured marble vanities in the bathrooms and the convenience of the screened-in patio or balcony attached to your living room. 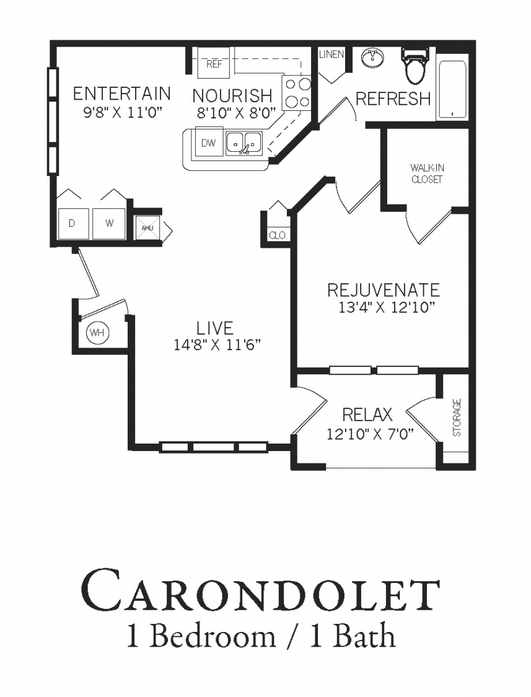 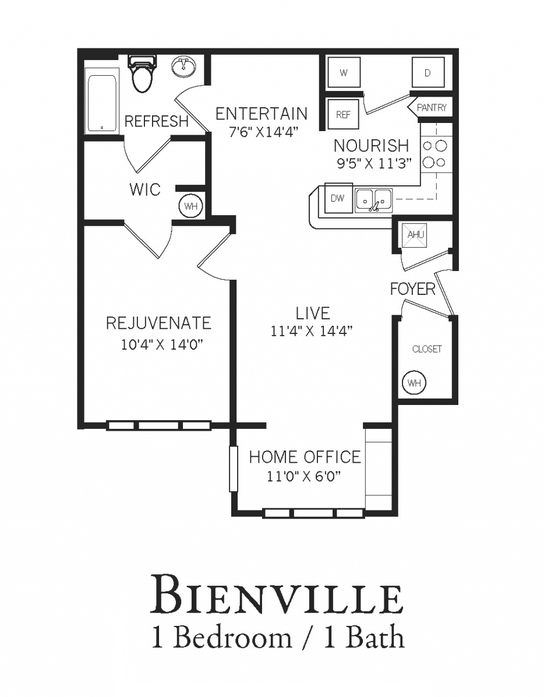 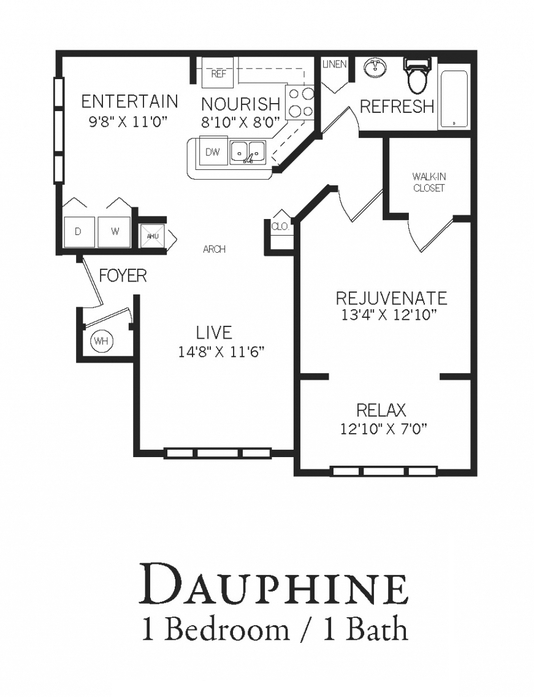 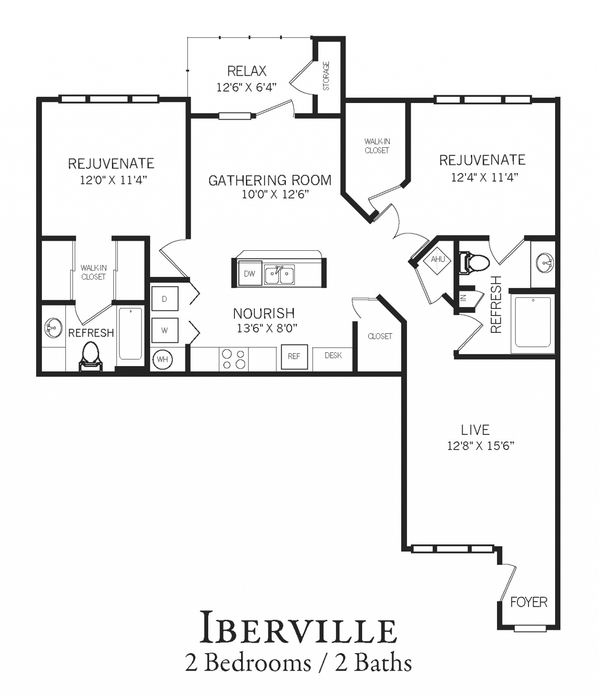 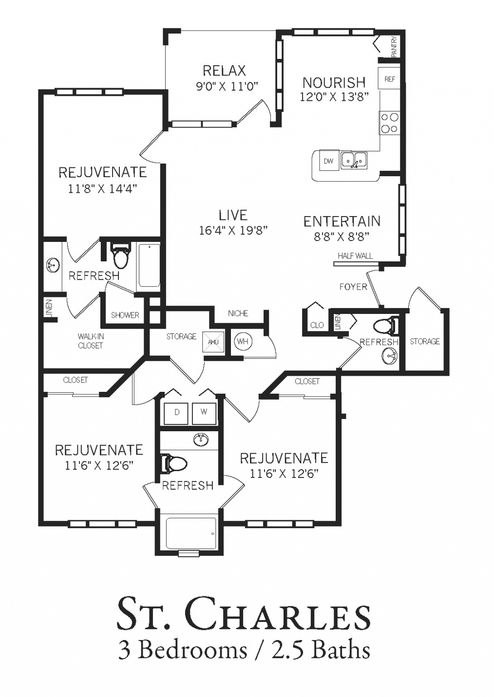 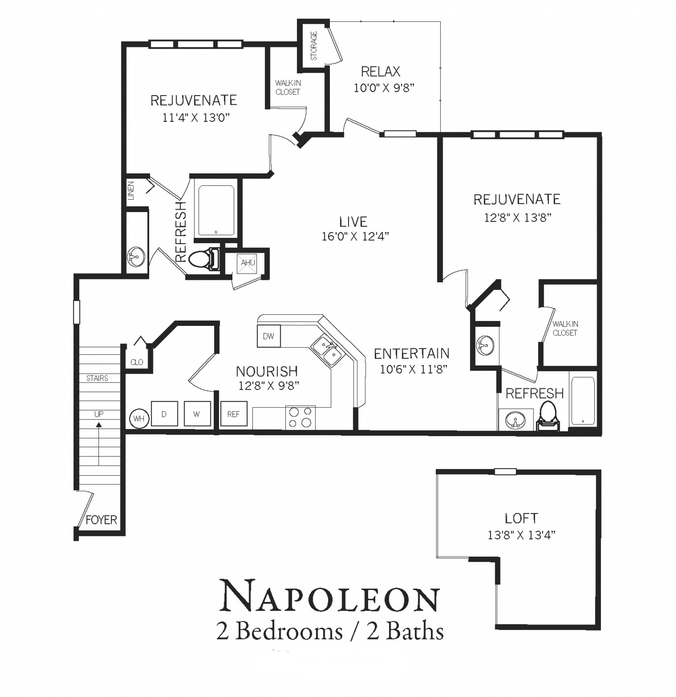 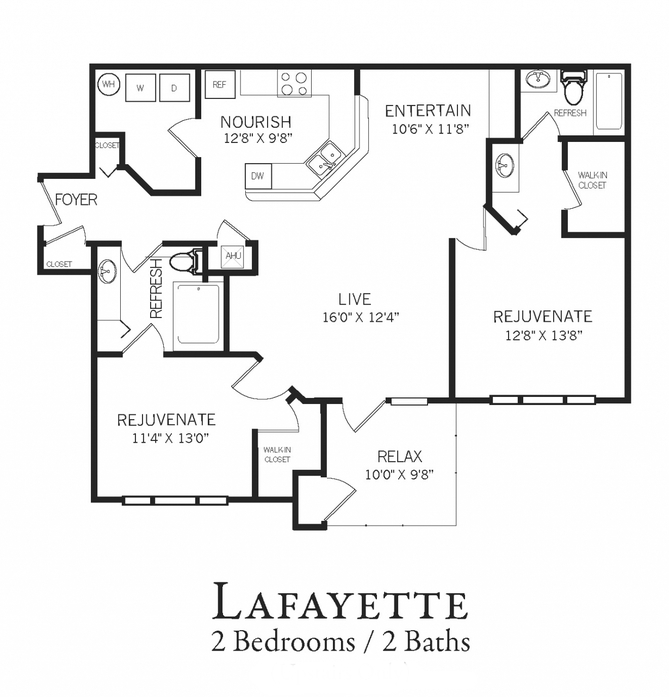 Learn more about the floor plans and features currently available when you get in touch with the Avenue Royale leasing center today.